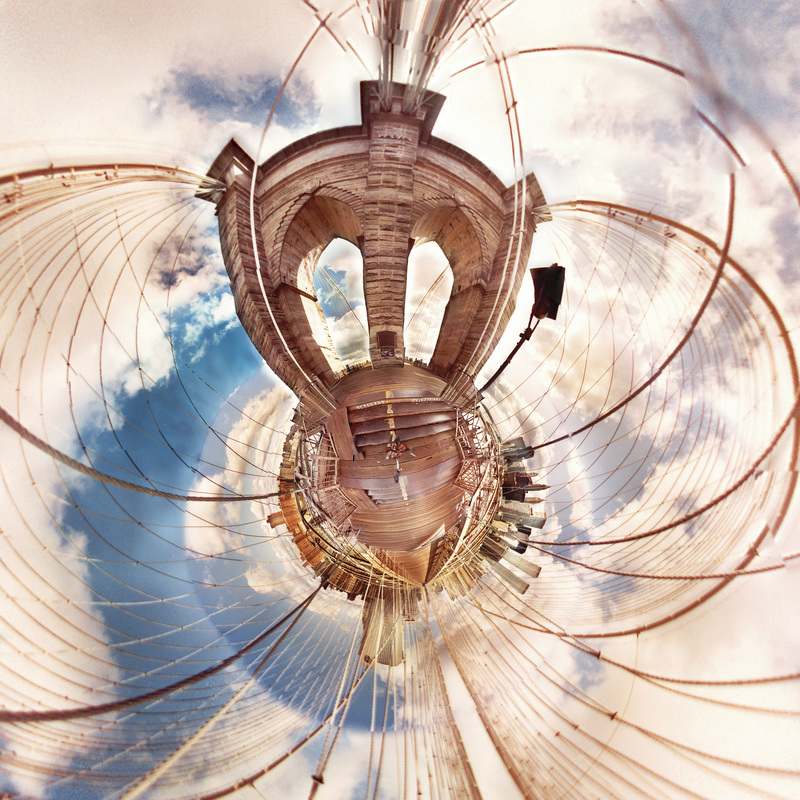 BROOKLYN BRIDGE 1982-2018 VR is a sketch VR environment created from the original Brooklyn Bridge composite panoramic collage (below) from 1982. 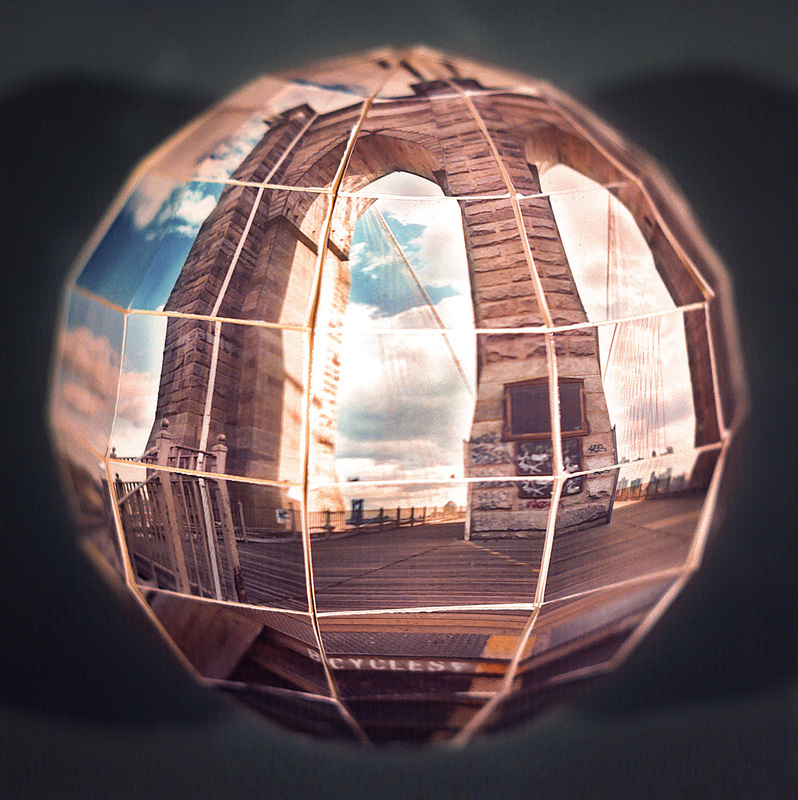 BROOKLYN BRIDGE GLOBE MAQUETTE 1982 is an analog spherical rendering, assembled in 1982. BROOKLYN BRIDGE 1982-2018 TINY WORLD VERSION is an alternate digital rendering. 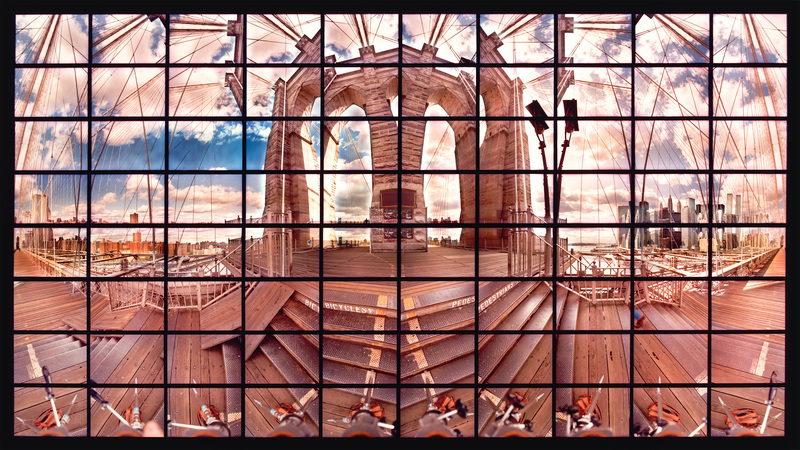 BROOKLYN BRIDGE 1982-2018 GRID VR is an alternate VR environment created from the original Brooklyn Bridge composite panoramic collage (below) from 1982. 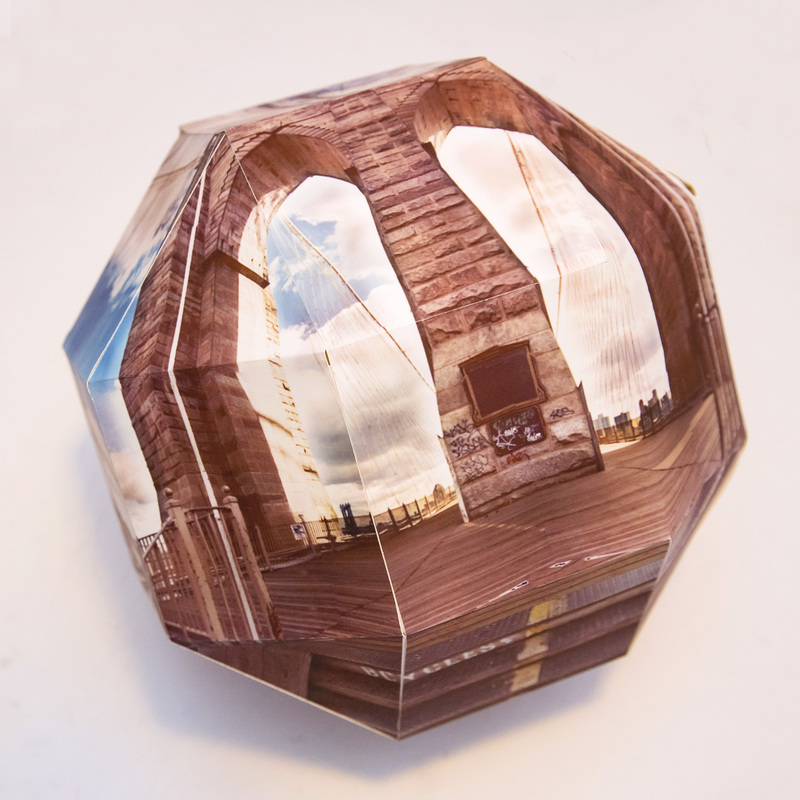 BROOKLYN BRIDGE PHILOSPHERE 2018 is a paper maquette version created with PTgui stitching software and assempled from digital prints.